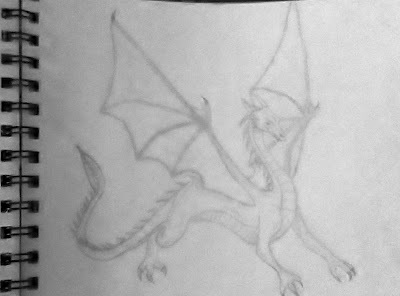 Sorry this one is kind of hard to see because it was sketched really lightly. 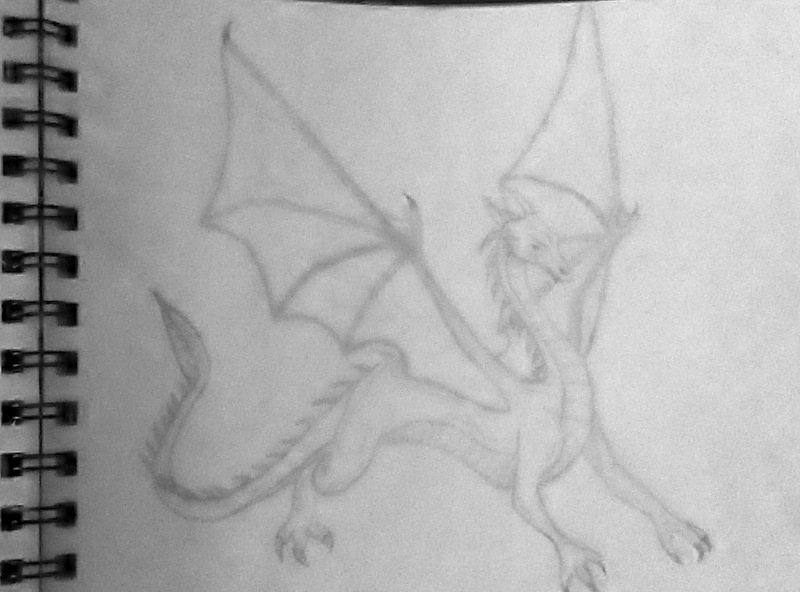 Anyway if you can see it is a picture of a dragon. I recently reread the Eragon books and this what i pictured the dragons would look like. 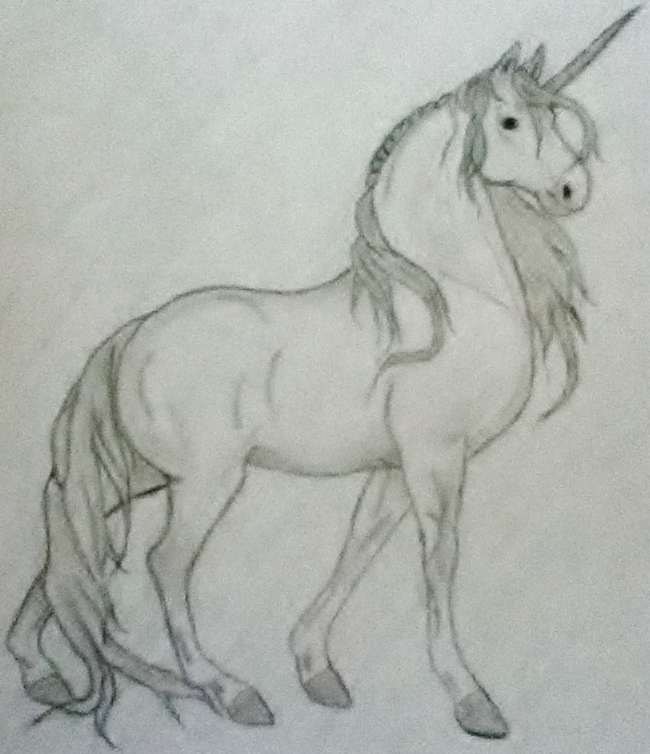 This was originally going to just be a picture of a horse, but two of my friends asked me if i could draw them a unicorn, so voila! A unicorn, which is just a horse with a horn.